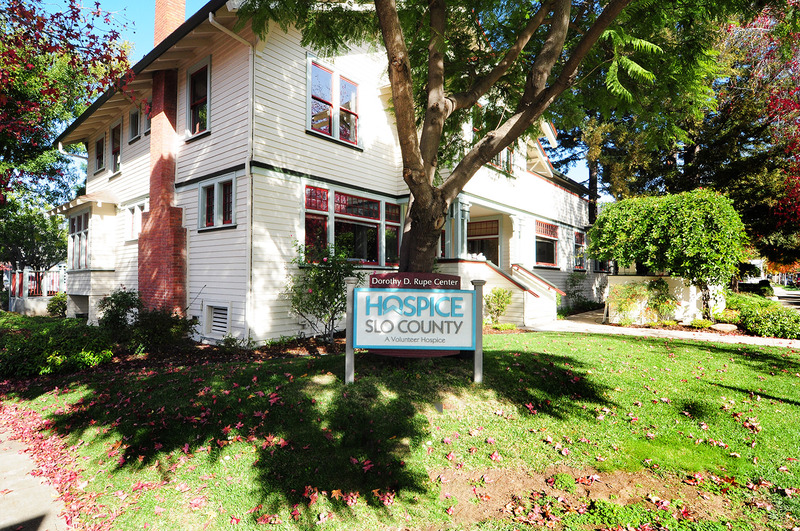 For over 38 years, Hospice of San Luis Obispo County (Hospice SLO County) has provided county-wide non-medical in-home respite care, emotional support, practical assistance and comfort to individuals, their families and caregivers who are coping with a life limiting illness. Hospice SLO County Grief Counseling services offer individual and family counseling and group support to anyone grieving a death regardless of when or how the death occurred. All Hospice SLO County Services are provided at no charge. Being a family caregiver is stressful and our Care Manager strives to help ease the burden of finding appropriate resources to assist the home caregiver with respite, care needs, planning or access to services. 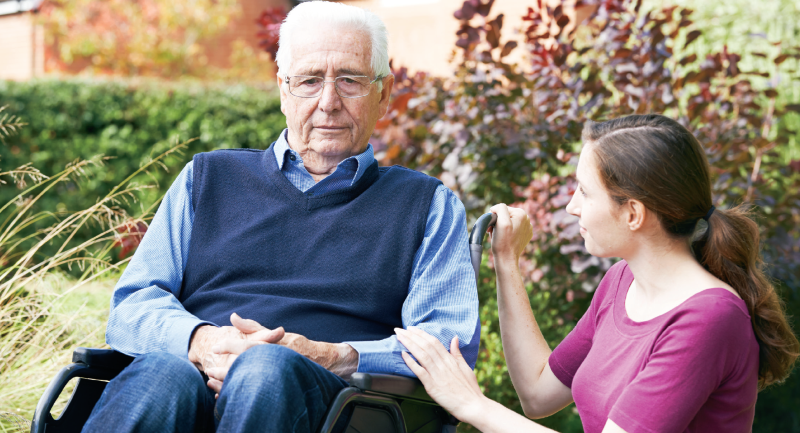 Our care management services have been graciously underwritten through grants that ensure we can help people plan for the care of their loved ones and access area resources more easily and efficiently. Hospice SLO County offers relaxation services for clients, caregivers, volunteers and community members. These services are provided at our Hospice SLO County office, 1304 Pacific Street, San Luis Obispo. Free of charge. Hospice SLO County Threshold Singers sing for those at the thresholds of life and dying. They offer a calm and focused presence with gentle voices, simple songs, and sincere kindness. Their songs can be soothing and reassuring to clients, family, and caregivers alike. In pairs and trios, Threshold Singers visit homes, assisted living facilities, and skilled nursing facilities throughout San Luis Obispo County. They sing for individuals experiencing life-limiting or end-of life conditions, offering peace, tranquility and what has often been described as a spiritual experience for those for whom they sing. Hospice of San Luis Obispo County (Hospice SLO County) offers an End-of-Life Doula (EOL Doula) Program for in-home clients provided by Doulas trained through the International End of Life Doula Association (INELDA). Just as a Birth Doula brings greater comfort and deeper meaning to the process of labor and the beginning of a life, EOL Doulas offer the same during the process of dying. The EOL Doulas serve people and families going through the end stages of a terminal illness when caregivers experience many losses in the patient’s function and role as well as an increase in physical symptoms. This is correspondent with greater demands for their time, energy and fatigue in the face of knowing the end is coming. 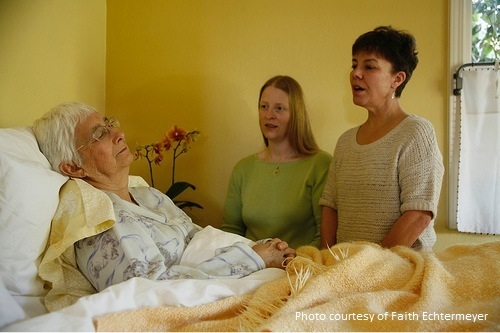 As with all Hospice SLO County programs, EOL Doula services are provided without charge. As pet lovers, we have all had the experience of our pet understanding when something was wrong, or sensing when we were not feeling well. They comfort us, they ease our tension, they reduce our fear and they love us unconditionally. We can only try to imagine how much more significant this unique bond is for patients facing a life-limiting or life-threatening illness. For many patients in hospice care, their physical condition leads to a decrease of previously enjoyed social opportunities and relationships. Their pets help to fill that void by offering unconditional love and acceptance, comfort and companionship when it is needed most. Such as when friends and family aren't seen as frequently, or when words are too hard to say. 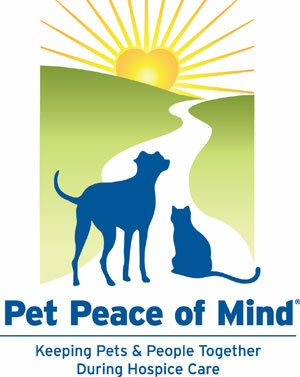 Pets are there for us, and Hospice of San Luis Obispo County’s (Hospice SLO County) Pet Peace of Mind program (PPOM) insures that we are there for them, in return. Hospice of San Luis Obispo County (Hospice SLO County) In-Home volunteers offer respite care to relieve the primary care person. Counseling is provided by Licensed Therapists, Registered Associate Marriage and Family Therapists and Associate Clinical Social Workers, and Master’s Prepared Trainees under the clinical supervision of licensed staff. Sessions typically provide clients with both emotional support, information, and an opportunity to explore how they can more effectively negotiate these challenges. Hospice of San Luis Obispo County's Community Response Team provides timely counseling support, consultation, and education about grief and coping with loss, including anticipating a loss and sudden death. Community Response services are provided to businesses, schools, churches, government and community agencies at no charge. Trained staff and volunteer counselors work with both children and adults, and consult with groups and agencies on the approach that feels most helpful to them.